This was another one of those Ocado impulse purchases, although in fairness I'd have picked this up from anywhere! TeaPigs have been good to us over the years, providing decent teas that are worth seeking out, and the occasional free bag in the post. 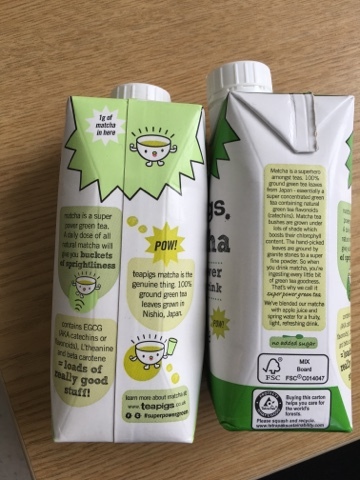 These are based on the Macha Tea kit that I reviewed about a year ago where you mix up your own Macha drinks. Once I'd got the concentration of powder to juice right I found it a good way to start the day. Here we see they have premixed varieties. The two flavours on offer were Elderflower and Apple, each offering their own temptations but both offering buckets of sprightliness. 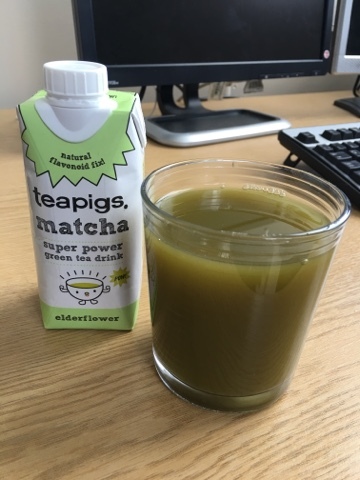 I do love it when products look like Shrek juice! The elderflower variety was really sweet and citrusy - it contains concentrated lemon juice and is very reminiscent of the mornings I mixed the green tea powder with Orange juice. Nice enough but nothing too fantastic. As expected the Macha was a little too intense for me and I'd have been better off just having half a serving! Because of this I shared out the Apple variety at lunch. This looks very similar but the flavours are a lot more subtle and refreshing. I believe I tried this mix at home too, but not with this degree of success. The person sampling this with me declared it to be 'better than just good, it's amazing!' Which is high praise indeed. While I'm not fussed about the elderflower on I can certainly see myself picking the apple variety up again, when out and about and requiring a boost anyway. 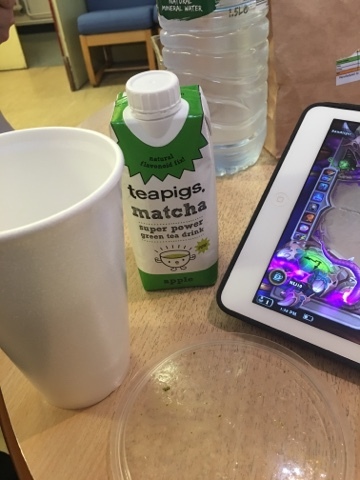 The thing I was searching for on Ocado when I picked these up was another 50 Mao Feng Green Teabags which is my luxurious evening and weekend green tea that I treat in the same way as many would a can of beer or bottle of wine. It's nice to have a big box available! 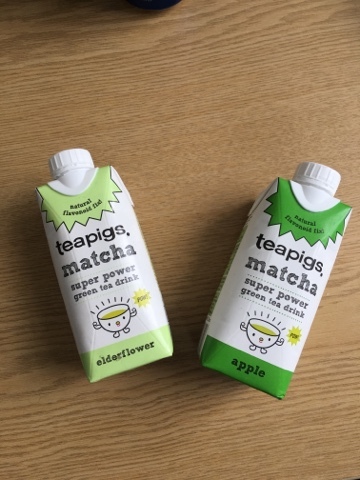 While green teas are certainly an aquired taste I can see these being a popular addition to the TeaPigs range and hopefully the start of more quality ready to drink cold teas.